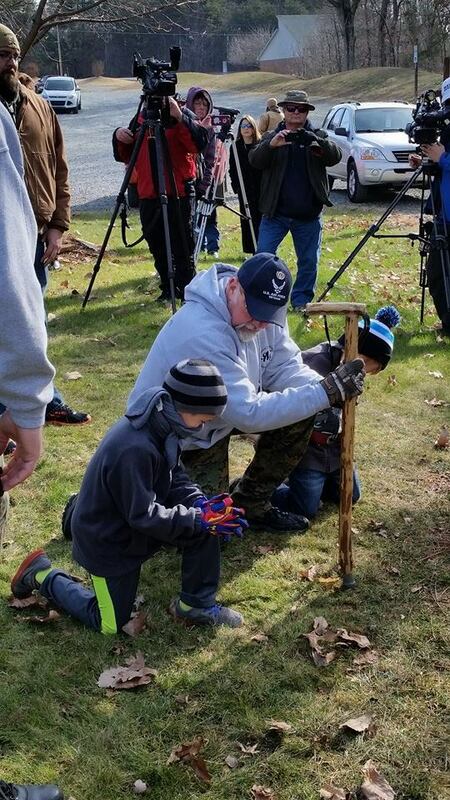 A disabled Veteran kneels in Prayer at the location of a removed Monument. His Grandsons flank his sides. Click to enlarge. The following came to me via a comment on the 1st Battle of King blog. I chose not to publish it in its entirety as a comment, but felt it deserved its OWN separate posting. In August of 2003, the Mayor of King, two city staff members, and five American Legion members commissioned a committee to create a process by which King could have a memorial to recognize members of our community who have served in the armed forces. The Veterans Memorial Committee distributed information about the project to businesses, the chamber of commerce, and local churches as well as placing ads in local newspapers; banners were created and used in parades, festivals and fairs; and a scale model of the project, which included miniature reproductions of 11 flags—along with applications for the purchase of memorial pavers—was placed in various settings throughout King for the public to see. The presence of a Christian flag in the mock-up of the Memorial offended no one. While the original estimate on the Memorial’s construction was $100,000, once bids came in, Magnolia Construction won the bid with a price of $278,000. Work began about 2 months after the bid was finalized and was completed in 4 months and within budget. At the Memorial’s dedication, on November 11, 2004, the Christian flag offended no one. As of June 30, 2008, per the City of King, total expenditures for the project totaled roughly $390,000. Of that total, $226,941 in revenues and services had been DONATED by this community for the construction of THEIR Veterans Memorial. The Stokes County Arts Council, whose programs for Stokes County citizens create shared and lasting experiences that connect participants to their heritage, commissioned Calloway’s Welding to create a statue of a soldier kneeling before a cross, mourning a fallen brother-in-arms; once completed, it too was placed at the Memorial. The Declaration of Independence states: We hold these truths to be self-evident, that all men are created equal, that they are endowed by their Creator with certain unalienable rights, that among these are life, liberty and the pursuit of happiness. Our Constitution is a legal document. It is 237 years old. And the ‘promise’ of that document to us hasn’t changed. Not once. There HAVE been efforts to crush the words and the will of We the people. When it happened here in King, it began with an anonymous phone call to the city manager in July of 2010. The caller objected to the Christian Flag Display at the Veterans Memorial because he believed that the City’s display of the banner excluded and demeaned his religious beliefs and those of other veterans. On August 2nd, the City Council voted unanimously to allow the flag to remain, and the anonymous complainant took his offensive the next step by contacting the ALCU, who in turn, sent their August 16th cease and desist letter to the City of King. In a September 15th split-vote, the City Council decided to remove the flag upon the advice of the City attorney, “citing the enormous cost associated with fighting a potential law suit on the issue.” The September 16, 2010 removal of the Christian flag from the Veterans Memorial occurred—not because one person no longer wanted it there—but because he had known precisely who to contact in order to bully the city government of a small town into submission. The ACLU’s demand for the Christian flag’s removal from the Memorial, or have the City face a lawsuit that could financially cripple the small township, is tried-and-true ACLU harassment. And what was the ridicule the anonymous person believed he had been subjected to? Prayer. The City Council members had prayed for him, and the citizens of King and Stokes County had prayed for him because, as Christians, we are taught to pray for everyone, even those who would be our enemy. Our prayers for another American, especially a veteran—whether he shares our spiritual beliefs or NOT—is hardly a method of ridicule: it is doing the right thing even when it isn’t expected… it’s called common decency. During his statement to FOX News, the anonymous man became “Steve” and stated that he ALSO planned to file a complaint with the ACLU about a statue at the memorial which depicted a soldier kneeling next to a cross. In that instant, “Steve’s” assault upon how this community chose to honor its veterans and beloved war-dead, became an attack upon all who bravely and selflessly serve to protect this Republic–past, present and future. Within hours of “Steve’s” September 17th declaration, this community stood up, as one people, and pledged to defend both their Veterans Memorial AND their God-given right to freedom OF religious expression. The first of 3 Facebook pages, “Return the Christian Flag to King,” began on September 19th; the first call for community members to assemble in prayer at the Memorial occurred on the 20th; and by the 21st, a legal and peaceful protest by area Veterans and the Stokes County Militia had begun. Local protesters embraced all-comers… Veterans, citizens, clergy and bikers… Rolling Thunder, the Patriot Guard and American Legion riders… Christians, Jews, Agnostics and Atheists… Black, White, the very old, the very fragile, the very poorest and the very wealthiest among us. They all came. And on October 23rd, 5000 of these same people marched and rode in support of religious freedom at our Veterans Memorial. The peoples’ peaceful protest that began because of an anonymous claim of Constitutional injury, lasted, uninterrupted, for 103 days and nights… until the Christian flag was returned to its pole at the Memorial on January 3rd, 2011. The Limited Public Forum– a lottery, of sorts – established in an effort to appease “Steve’s” claim that only Christians in the community had a voice at the Memorial, allowed persons living in King, or who had a family member memorialized on a quarry tile at the Memorial, to submit an application for their emblem of belief to be flown for 1 week in honor of their Veteran. Over 70 applications were received, and “Steve” submitted 5 applications himself, one each on behalf of several family members who had served in the military. On each submission, he chose the Christian flag, despite the fact that ‘approved’ flags for the lottery included all that are recognized by the US Dept of Veterans Affairs—and there’s 58 of them. For “Steve” to claim unconstitutionality of Christian symbols at a Veterans Memorial, then, request that a Christian symbol fly in honor of Veterans in his own family, simply made no sense. He later claimed that he only listed the Christian flag for each application because he feared that City officials would reject his applications if he sought to fly anything else. “Steve” feared that City officials, those same people who had dared to pray for him, would sabotage him… and him a Veteran, one of the hundreds of Veterans the Memorial in King was meant to honor! 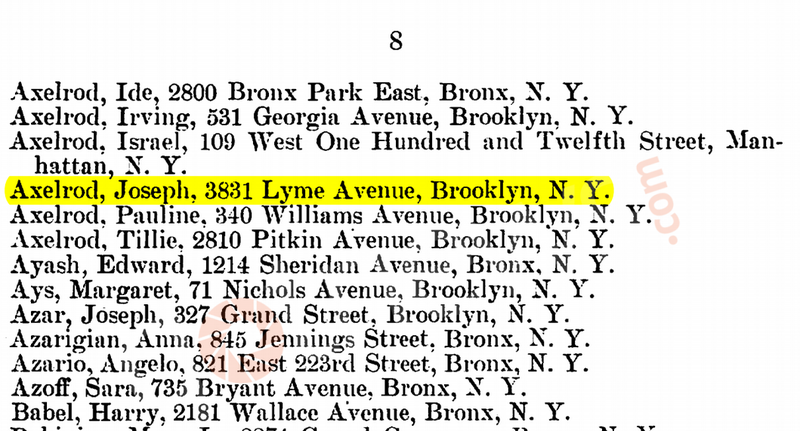 Despite an eventual claim from him that the Limited Public Forum process was also unconstitutional, “Steve” continued his yearly participation in the lottery. Regular complaints to the media continued, as well, until we learned in November of 2012 that a lawsuit had been filed by Americans United on his behalf against the City of King. On February 20, 2013, The American Legion and American Legion Post 290 in King petitioned for permissive intervention in the civil case. As members of the Veterans Memorial Committee, they had an obligation to stand with the City of King; but, more importantly, they had the right to have THEIR voices heard. Just as each of US has the right to have OUR voices heard. Christian faith in the lives of the majority of King and Stokes County residents is absolute; it is NOT a sometimes-faith, nor is it a faith-of-convenience. In this county, there are more than 80 churches spread across 452 square miles of a mostly-rural landscape. That equates to a place of worship every 5.2 miles for approximately 47,400 people [per the 2010 United States Census.] In the same way “Steve’s” complaint was not going to change the physical landscape or the religious demographics of this county, The Limited Public Forum, no matter how well intended, was never going to satisfy the ACLU or the AU. These organizations, for whom no religious tolerance exists, want anything that even appears to infer some relation to Christianity, on public land, completely removed. Which brings us back to the fallen soldier statue. Since 1775, millions of Americans have served in this nation’s military. The cross is a universally recognized grave marker. It indicates the burial place of fallen brothers in arms and thus, is a sacred marker upon thousands of our servicemen and women’s graves. Laid out in perfect symmetry across acres and acres of the earth, in this nation and abroad, honoring the sacrifice of Americans who fought oppression at the hands of dictators, these FIELDS of crosses remain sacred ground…for all persons of conscience, regardless their religious beliefs. The metal statue we’re missing today was of a cross upon a grave, with a soldier kneeling on one knee, a cold rifle in his hand and his head bowed in grief with a welder’s permanence. THAT image represented THIS community’s recognition, appreciation and reverence for the sacrifices of those who gave all for the preservation of this Republic. Its removal in January undermined our ancestors’ AND OUR fight for life, liberty and the pursuit of happiness; its removal denied us and our children the assurance that all men are still created equal; and its removal taunts us with the PROMISE that, unless we take a stand now and say no more, those unalienable rights we were endowed with by our Creator WILL continue to be set aside—town by town– by the same deep-pocketed, special interest groups who demanded we in King must do what one person demands or else! The agnosticizing of our great Republic must stop now. Respectfully submitted by SilenceDogood2010 this Twenty Eighth Day of February in the Year of our Lord, Two Thousand and Fifteen. As most of you know, Luis Gutierrez, the Illinois Representative from the 4th District, is a big advocate for Immigration Reform. Just as André Carson & Keith Ellison are pushing for Sharia Law to rule here in the USA — being that they are Muslim and follow Islam & the Quran. They are free to think, and believe anything they like. However, when someone crosses the line, they must be called out & held accountable — This Blog Post will focus on Luis Gutierrez and his recent actions. On Thursday, February 26, 2015, Gutierrez took to Facebook, and in this writers opinion, violated several sections of 1907 Title 8, U.S.C. § 1324(a) — Encouraging/Inducing AND Conspiracy/Aiding or Abetting. Gutierrez is whining and crying because he wants the unconstitutional, Executive Order to grant amnesty, funded in this bill. 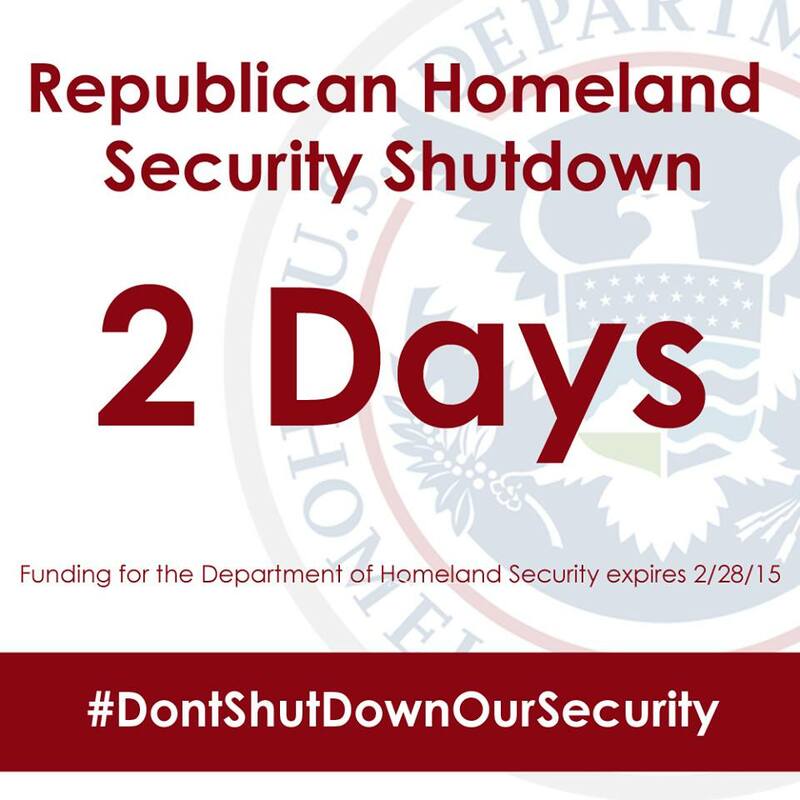 The republicans funded all of DHS’s operations EXCEPT the funding for amnesty. His social media campaign also contained blatant untruths and might even be considered Libel (& possible Slander if he actually spoke any of this) against the republican members of congress. This is the image Luis Gutierrez posted to his Facebook page. Click to enlarge. A screengrab from the Facebook page itself. Along with his comment associated with the image. Click to enlarge. 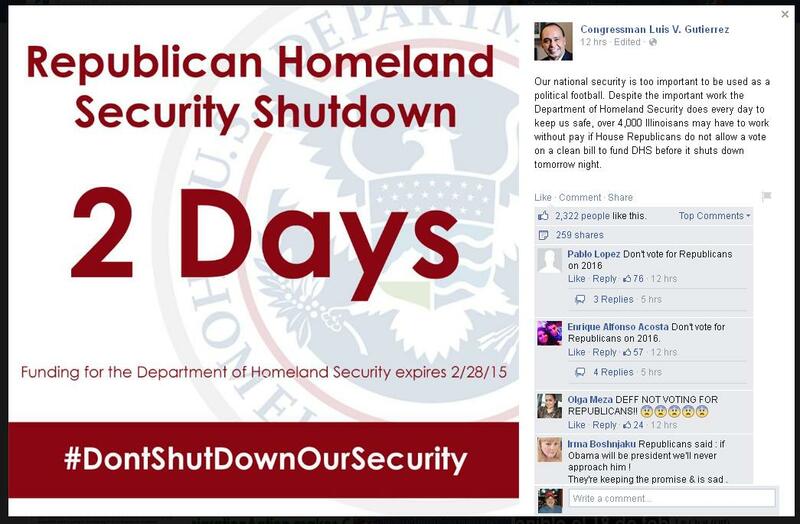 Link to Luis Gutierrez’s Facebook Image in case you would like to send him a comment there. Here’s the actual Legislation that was passed by the House on January 14, 2015 — This proves that the republicans are not holding up funding for the Department of Homeland Security. Passed the US House of Reps. – 236 Yeas / 191 Nays (Bi-Partisan too) — It should be noted that Rep. Luis Gutierrez was one the 191 NAYS on this vote. He voted NOT to Fund DHS! 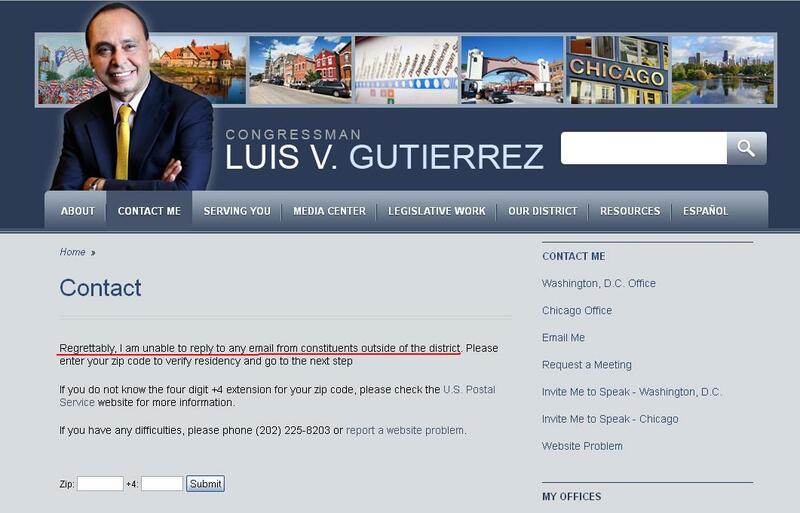 If you want to contact Representative Luis Gutierrez — Good Luck doing it via Email. He is one of those Representatives that has chosen CLOSE his Electronic Communication Option and demands you enter some personal data (Zip Code / 9 Digit at that). Screengrab of his OFFICIAL email contact page. Click to enlarge. Here is his other Contact Information. Go get him Warriors! Here is his Official Page. Nagaina, for those who don’t know, is the female SNAKE from Rudyard Kipling’s “Rikki Tikki Tavi”. Nagaina was very dangerous being allowed to survive in ‘The Garden’. 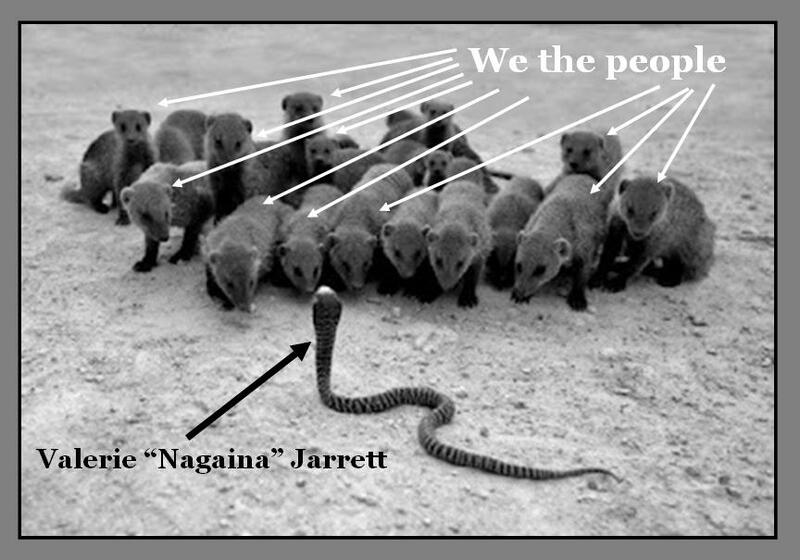 Jarrett poses a much more dangerous threat to us all. Below is a COPY/PASTE from the link. You know, just in case ONE site gets scrubbed. You never know WHEN the FCC might start ‘Reg-U-Maw-Lating’ this here internet thingy! We have all seen the White House’s reaction to House Speaker John Boehner inviting Israeli Prime Minister Benjamin Netanyahu to speak before Congress on the Iranian nuclear situation. The Obama administration has completely freaked out, lobbing public barrages against Netanyahu and Boehner for “going around the White House and diplomatic protocol.” This is quite humorous for the president who famously said “I have a pen and a phone and can do anything I want”–but that’s for another column. I’ve written about the Obama administration’s agenda when dealing with Iran. The agenda is to run out the clock and allow Iran to develop, or be on the verge of developing, a nuclear weapon that would threaten the entire Middle East and the world. Israel would especially be in danger. The real questions are: Who is pushing this agenda? Who is pushing for Iran to go nuclear? And, who is so scared of Netanyahu briefing Congress and the American people on what Iran is up to? 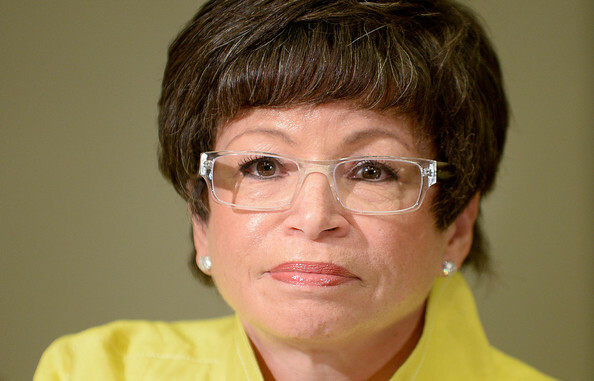 The answer is Valerie Jarrett, Obama’s Rasputin. This is where the anger from the White House is coming from. Most people know she was born in Iran. This in itself does not disqualify her from advising the president, but it does open her agenda to scrutiny. There have been reports that she has been secretly negotiating with Iran on the nuclear issue, but the White House has vehemently denied it. I, for one, don’t trust a thing this administration says. Now, the Jerusalem Post is reporting that the Obama administration has already given Iran eighty percent of what it has demanded in the negotiations. The “deal” to be reached will leave Iran within months of going nuclear if they decide to move forward. All of the centrifuges will remain under their control. This “deal” is not a deal, but an appeasement. This is what Valerie Jarrett is so scared of–that her secret deals with Iran to allow them to go nuclear will become public knowledge. She is scared Netanyahu will tell Congress and the American people what is really going on. We can’t have that, can we? Why else would the White House be so scared that one of our closest and reliable allies is speaking to a co-equal branch of government? We must ban together to ELIMINATE the Threat to the Garden. Click to enlarge, or if you’d like to save this image. She is the one at the White House that gave the order to ‘STAND DOWN’ in Benghazi on September 11, 2012. Yep, Nagaina is one EVIL Individual! And for those of you who have small children, or grandchildren, here is a classic version of the story of ‘Rikki Tikki Tavi’ in cartoon form. Enjoy. Respectfully submitted by SilenceDogood2010 this Twenty Fifth Day of February in the Year of our Lord, Two Thousand and Fifteen. As we come to a close of Black History Month here in the Year of our Lord, Two Thousand and Fifteen, I’d like to share some Future History Makers with you. Mr. CJ Pearson & Mr. Markeece Young. Two outstanding young Men of Character! A 3 minute message from CJ. And a quote from Markeece. And it is National Brotherhood Week too! Double Bonus! Respectfully submitted by SilenceDogood2010 this Twenty Third Day of February in the Year of our Lord, Two Thousand and Fifteen. Yes Ma’am, you read that headline correctly. 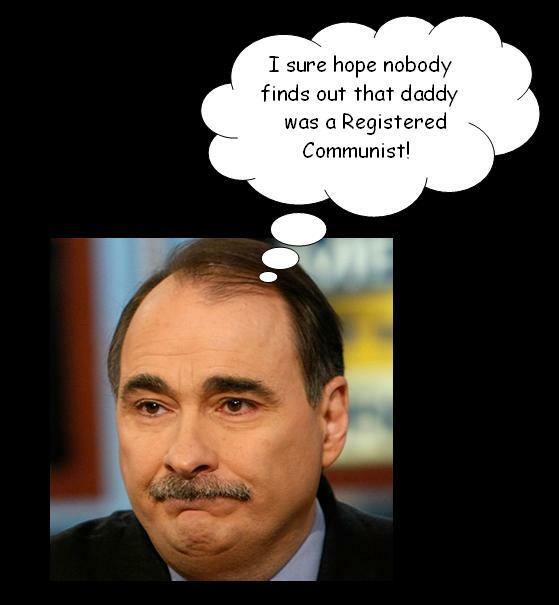 Well, our Friends at GotNews have uncovered some interesting finds concerning David Axelrod. You know, Barack’s Former Senior Advisor from years back. 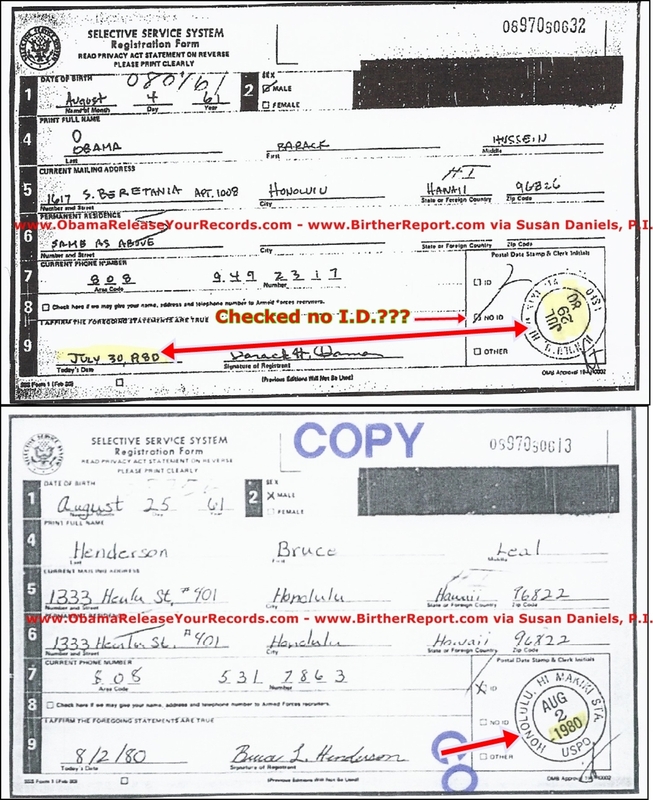 Yep, seems that David’s father was a Registered, “CARD CARRYING Member” of the Communist Party. Respectfully submitted by SilenceDogood2010 this Twenty First Day of February in the Year of our Lord, Two Thousand and Fifteen. Monday February 16, 2015 – Federal Judge Rules Against BHO’s Executive Order on Illegal Aliens. (Reuters) – A U.S. federal judge on Monday temporarily blocked President Barack Obama’s plan to protect millions of undocumented immigrants from deportation, an issue likely to be seized upon in the 2016 presidential campaign. Ruling in favor of about two dozen U.S. states opposed to the plan, U.S. District Judge Andrew Hanen in Brownsville, Texas, said the administration had not complied with procedure. The White House said the Department of Justice would appeal the decision, which was posted on the Los Angeles Times website. Since this order has been issued, AND since the US House of Representatives has sent the US Senate a bill that FUNDS Homeland Security, with the exception of the Immigration EO items, there is no need for a White House VETO, nor any need for the Senate to put the Immigration funding back in. And on a somewhat related note – Presidential Powers & Authority – I’d like to take a little of your time to point out some UNRESOLVED issues with the Barack Hussein Obama Administration. Please return your trays to their upright positions and fasten your seatbelts, we’re about to take off! In the Beginning….. BHO was offered up to the American People by the Democratic Party in 2007. He had been elected as a US Senator from Illinois. He began his term as a US Senator in 2005. He is well spoken, likable, & has an aura about him. America was ready to break the “Race Ceiling” and elect a dark skinned individual to the highest office in the land. BUT – “Houston, WE have a Problem!” cried the American People. Patriots from all across our land had started digging into Mr. Obama’s background, and everywhere they turned, they encountered evidence that ‘Overwhelmingly’ would deny BHO from that office. There was no proof that BHO was a “Natural Born Citizen” as required by our Constitution. There was no Birth Certificate to be found. His College Records had been sealed by his Campaign officials & other Democrat Officials. Law suits were filed to get to the bottom of this but at every turn, some Activist judge would rule that “JOHN” didn’t have standing to bring forth a suit, or that “Sally” had petitioned a court that didn’t have power to rule on this…. YADA YADA YADA. Not one single Judge has taken the time to perform their duties and hear the evidence. WELL, I take that back — Judge John Roll was going to, but he got assassinated before he could. He was planning to rule against the BHO Admin concerning ‘United States of America v. $333,520.00 in United States Currency et al’. The Chicago Political Machine didn’t take too kindly to that action. 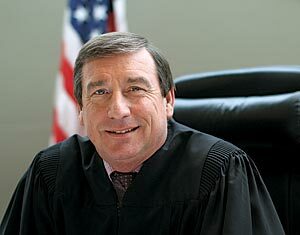 “Federal Judge John McCarthy Roll was the Chief Judge for the United States District Court for the District of Arizona who on Friday, January 7, 2011 issued a “preliminary ruling”in a case titled “United States of America v. $333,520.00 in United States Currency et al” [Case Number: 4:2010cv00703 Filed: November 30, 2010] that would basically disallow the movement of hundreds of millions of dollars of confiscated drug profits directly being placed into private bank accounts tied to mafia kingpins. The following day, Saturday, January 8, 2011, Judge Roll was shot and killed by an individual the media would have you believe is a lone, anti-Semitic, right-wing fanatic who listens to too much alternative radio broadcasts!! The case being ruled on by Judge Roll, is all about bulk cash smuggling into or out of the United States by Mexican drug lords and who exactly has the final right of possession of the funds. See a possible connection to FAST & FURIOUS Gun running here???? 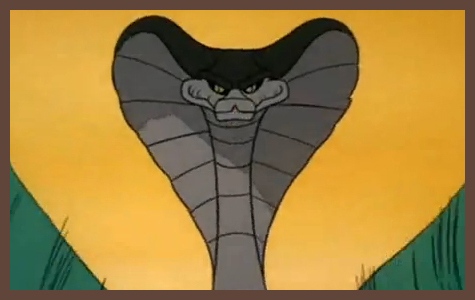 And then Eric Holder commits Perjury at a Congressional Hearing on F&F! OK, back to the MAIN POINT of this post — BHO and his FICTIONAL powers. I’m going to embed several images that point out the PROBLEMS with every single document that has been released by the BHO administration concerning his background, and his eligibility to even be in the White House. 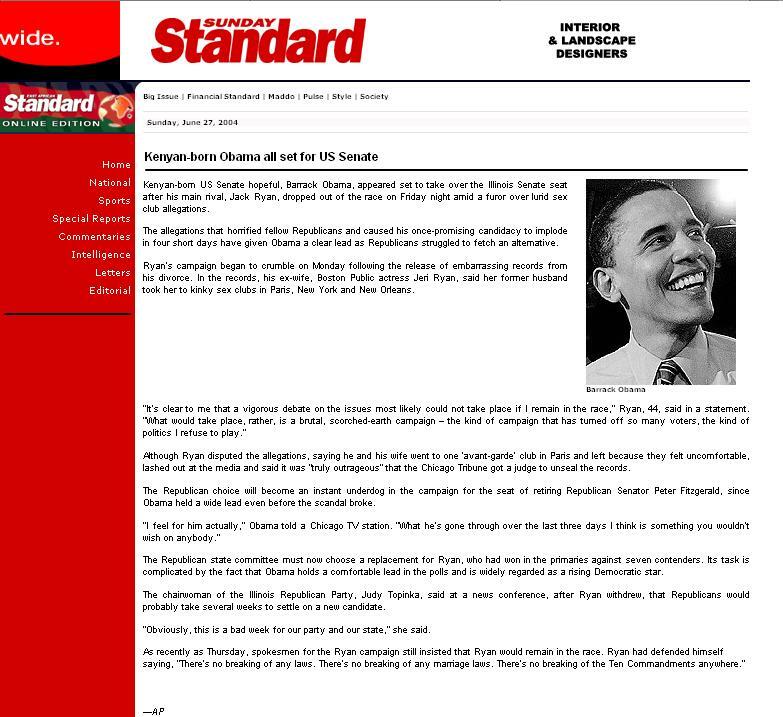 Article from 2004 states that BHO was born in Kenya. 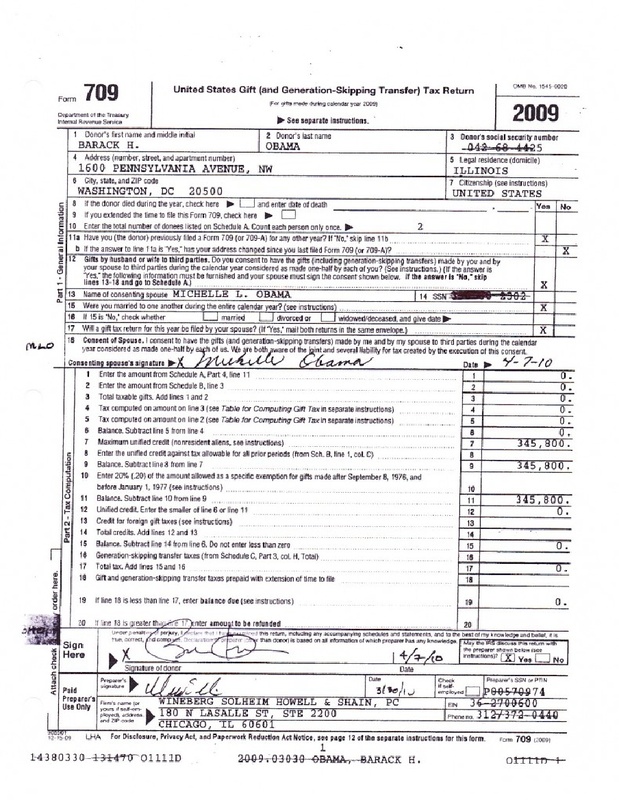 His Selective Service Registration (created in 2008) made to look like it was from 1980. Postal Stamp is a dead giveaway — 2 digits for year instead of 4. 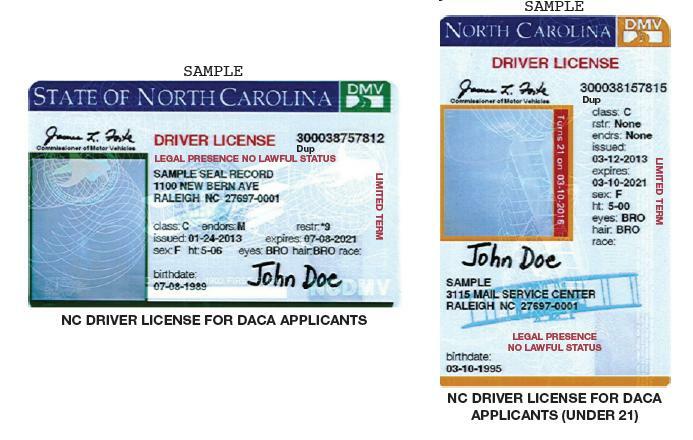 The one on the bottom is a REAL Registration from another gentleman for comparison. 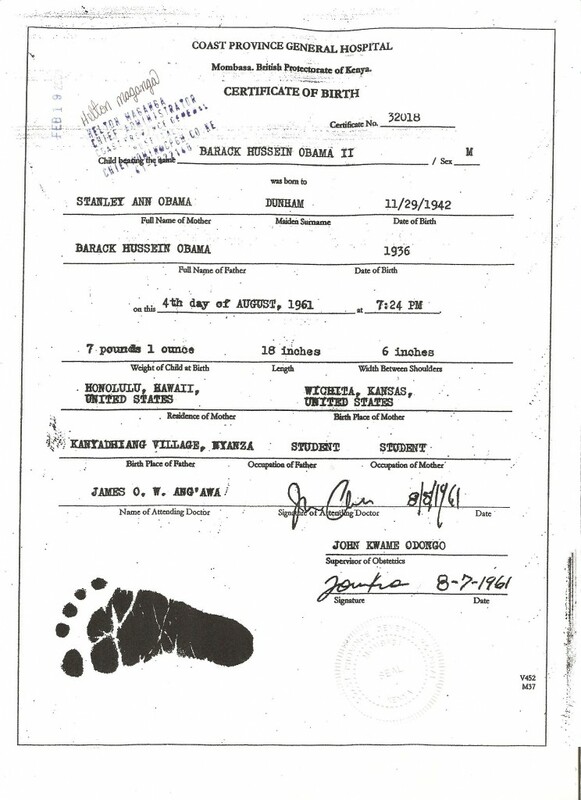 Could THIS be a real Birth Certificate for BHO??? 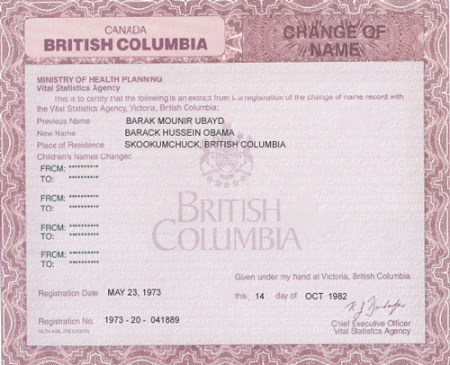 A 2009 Tax Return form slipped out and shows that he is using a Social Security number that was issued to Harry Bounel who was born in 1890. SilenceDogood2010’s Summary – Mr. Obama is not, and has never had the power, of the office of President of the United States. He is a Complete Fraud. Every law that he has signed is NULL & VOID. Every Appointee to any position is also Nullified — Kagan & Sotomayor to the SCOTUS, Hillary & Kerry as Sec. of State, and all appointed judges under his watch. The ACA, or Obamacare, is not a law. Respectfully submitted by SilenceDogood2010 this Seventeenth Day of February in the Year of our Lord, Two Thousand and Fifteen.